Some people have better success using the Outlook App for Android. However, please note that it does not fully integrate. For example, contacts in Outlook App do not work with the Phone App, so inbound calls will not tie into your Outlook contacts and display the name of who’s calling. 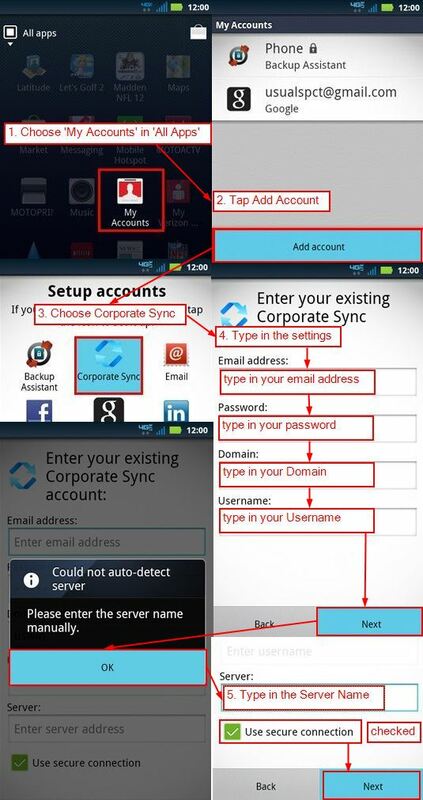 This is why we recommend trying the native Android Account Sync. 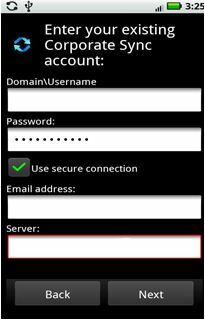 Tap Add Account and type in your primary email address and your password. Type in the settings from your Welcome Email. Server Name: type in your Exchange Server Name. 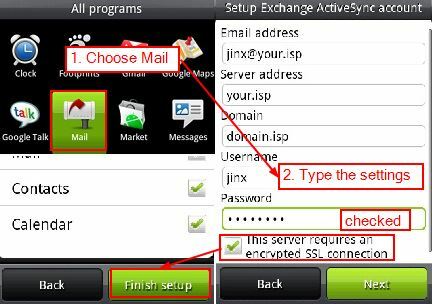 Change synchronization scope (We do not recommend to synchronize all the data for big mailboxes). 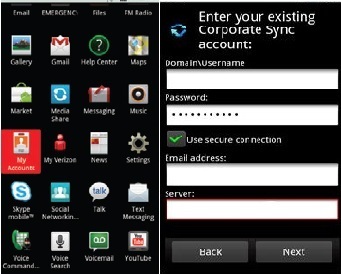 On the Home Screen of your device tap the Menu button and choose Settings, then Accounts. Put in the correct settings from your Welcome Email. Put in the server address a check use secure connection box. From the device home screen, touch the Applications tab (located in the lower-left), then touch Mail. If this is an additional email account, touch Menu > More > New Account. Enter the Exchange primary email address and password, then touch Next. This server requires an encrypted SSL connection: checked. Email address: Your mailbox Email address. If you don’t have an account yet, tap Add Account > Exchange e-mail, contacts, calendar. In case you do have an account and want to add another tap Menu > Settings > Add Account > Exchange e-mail, contacts, calendar. When you configure the device for Exchange, use the settings from your Welcome Email. Username: full email address or your ActiveSync Username. You may edit synchronization scope before you finish the setup (We do not recommend to synchronize all the data for big mailboxes). 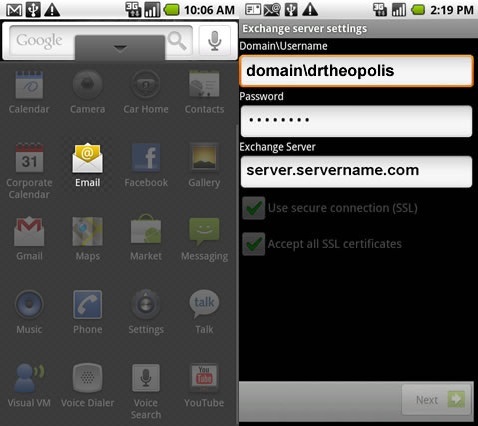 On some Android devices there are only two fields for setting up an Exchange account: Email address and Password. Use the following settings to set up the account. If you can’t get your device connected, please check your password using Outlook Web Access and try again. If you are still having problems, please contact us for additional assistance.